Did you know that only 1 in every 300 children own a book at home? CEA will be celebrating its 2nd Annual Read Across America along with Read to Learn Books for Free. Last year, we collected 2,000 books for our community's children.From February 2nd through March 3rd, we will be collecting gently used children's books to donate to our community's children. We would like this year to be as successful as last year's book donation. 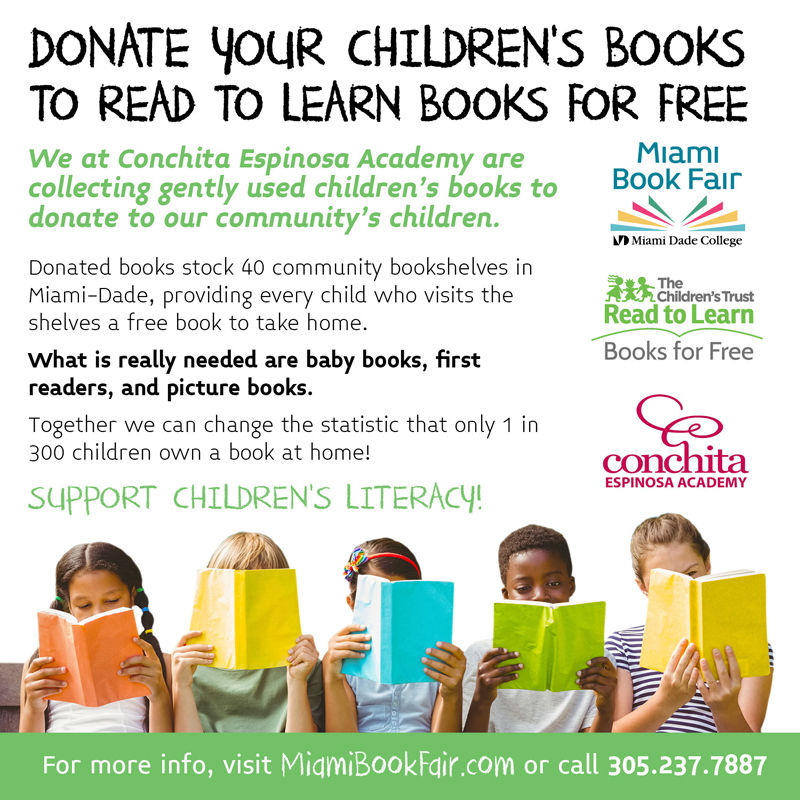 Our school will be collecting gently used books for babies through 2nd graders. We will be collecting books until the first week of March. You will find our book drop bin outside the Alicia Espinosa Library or your child can give their books to their homeroom teacher. Thank you for your participation for your support to children's literacy. Together, we can change these statistics and grow our community of readers, who will be our future leaders!